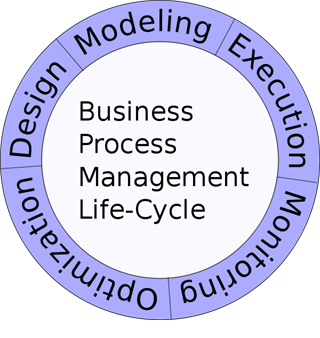 Business process management tasks can be grouped into five categories: design, modeling, execution, monitoring, and optimization. Process Design involves both the identification of existing processes and the design or recommendations of future processes. Areas of focus include representation of the work flow, the forces that act on it, interruptions, deadlines, procedures, service level agreements, and inputs and outputs. Good design reduces the number of problems over the lifetime of the process. Whether or not existing processes are considered, the aim of this step is to ensure that a correct and efficient theoretical design is prepared.